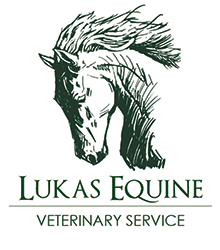 Lukas Equine Veterinary Service is available for emergencies 24 hours a day 7 days a week. Please call if you are concerned or need your horse seen as soon as possible. Equine surgical services and wound care are available at Lukas Equine. We are equipped to surgically repair a laceration or open wound as necessary. Bandaging is important to keeping a wound clean and to a quicker recovery time. Lukas Equine offers regular recheck evaluations of the wound and bandage changes as necessary. Lukas Equine is equipped to perform surgeries such as dental extractions, mass removal, and castrations on-site. Lukas Equine Veterinary Service has established close-relationships with the surrounding surgical referral hospitals and nearby universities in case referral for surgical services (especially in the event of a surgical colic) is necessary. If you require equine surgical services or wound care, please contact us at your earliest convenience.